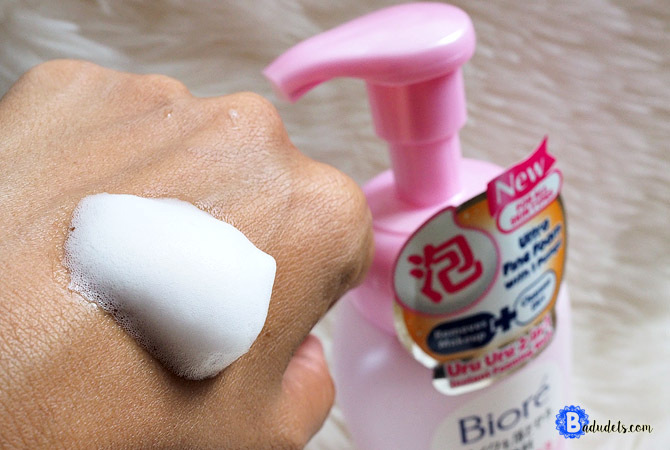 Biore Uru Uru 2-in-1 Instant Foaming Wash Review | Badudets Everything Nice! 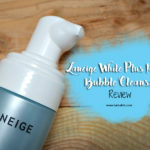 It’s a makeup remover and facial cleanser in 1, this is nice especially for those lazy nights when you’re too tired to double cleanse. But I can’t tell if this really removes heavy makeup since I’m just a BB cream, powder and tint girl. I love the name Uru Uru, apparently, it means soft and moisturized skin. Aside from the cleansing ingredients, this Biore facial wash has 40% beauty essence of Rosehip extract, Royal Jelly, and Glycerin. The instruction says to get 3 pumps of the foam to wash the face. But I think 1 or 2 pumps will do. Look how dense the foam is. It has a mild rose scent which is fun to smell, makes you feel girl na girl :p.
I only need 1 or 2 pumps and it cleanses my face thoroughly. Not drying at all. In fact, my skin felt moisturized after, I can get away of not putting moisturizer or cream at night. 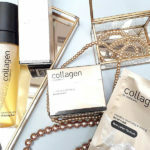 I did not experience breakouts o purging. Hmmmm…. I can’t think of any. Perhaps they should come out in large bottles? 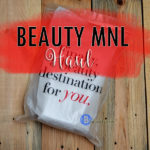 Oh and I wish they will come up with a facial foam with a whitening/brightening ingredient or an anti-aging line. 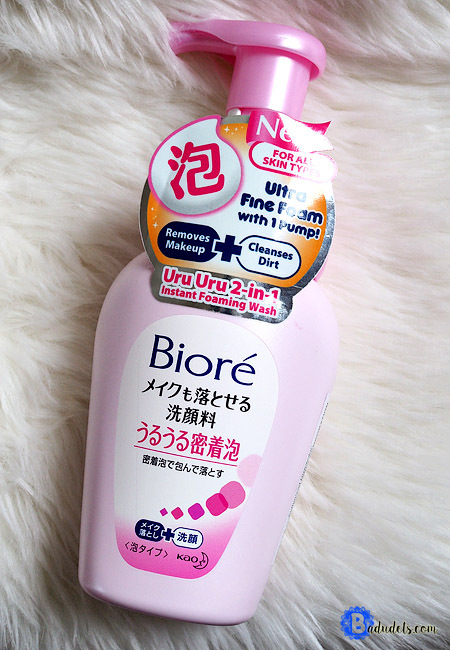 Nevermind what I said about the Cons, I just love Biore products. 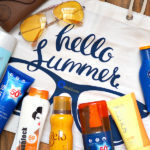 I haven’t tried one product from this one that I didn’t like. 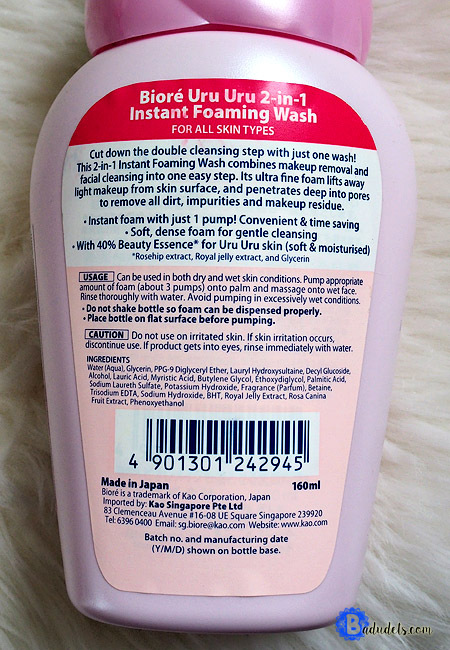 I bought my Biore Uru Uru Instant Foaming Wash at Landers Superstore but it’s also available in Watsons and BeautyMNL website, around Php 200+.